Time for spring colours I think? Change in the season, change in the light and often a change in mood and we respond with seeking out a slightly different palette. I have just made up a selection of yellow tints to use as backgrounds. I’ve noticed a lot of pastel coloured jackets and shoes whilst browsing through the style pages recently and as you can see I’ve been influenced. I’ve decided to combine the pale pinks and blues with a yellow background. In a spare moment I had a quick review of my other finished work and noticed more pink from the last 12 months than I’d remembered! But, of course, mother nature does pink the best. 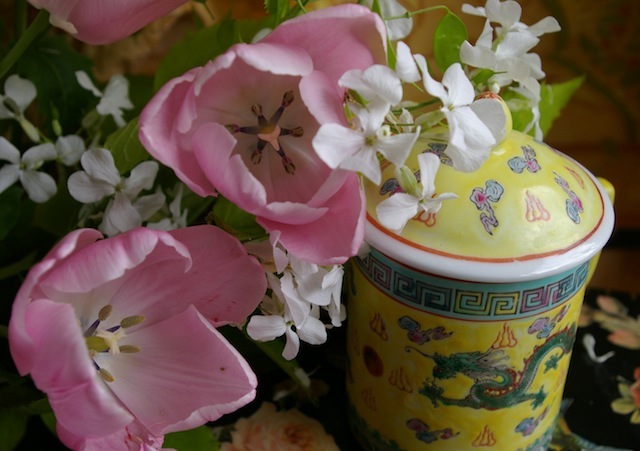 Author agnesashePosted on April 28, 2014 Categories Scarves, SilkTags artisan, hand painted, pastels, pink, pink tulips, Scarf, silk, silk scarf, spring colours, tulip, yellow4 Comments on Time for spring colours I think?